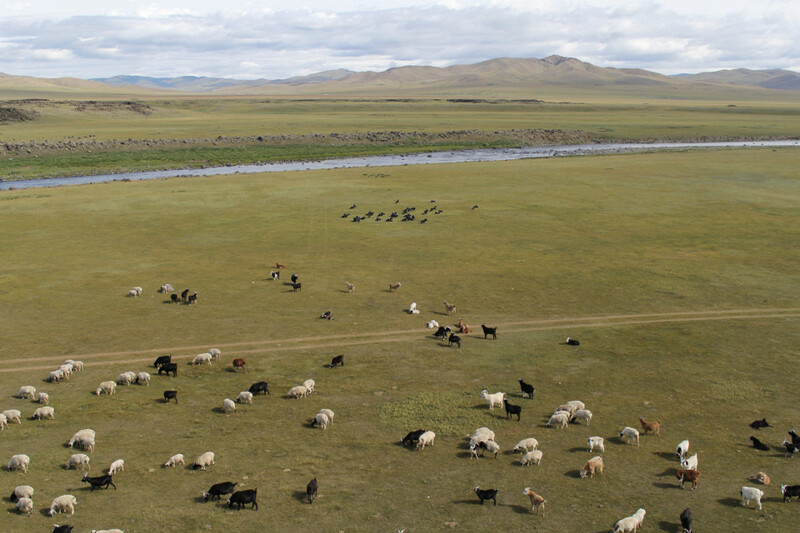 In the Mongolian steppe animal breeders depend on the herd and the herd depends on breeders. This (inter-)dependence is the most important condition of nomadic life. The breeders take care of the herd as a whole as well as of the individual animal. The breeder provides water, fodder and graze. He counts his herd every day, protects it from cold and heat, cleans and heals the animals. So the breeder is the shepherd, the guardian and the guide. In the installation The Herd Michal Smandek shows the relationship between the guardian and the ones endowed with care. He chose matter which he has to take care of, look after, repair and complete. 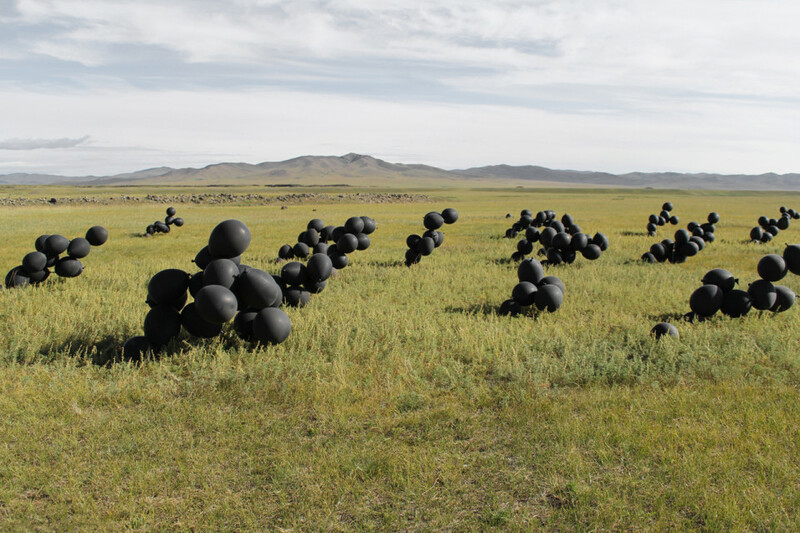 Dozens of connected black balloons symbolize the herd. Michal Smandek has to check if some of the balloons are not separated from the herd by the wind – his function is similar to working with a herd, where all actions are repeated every day. 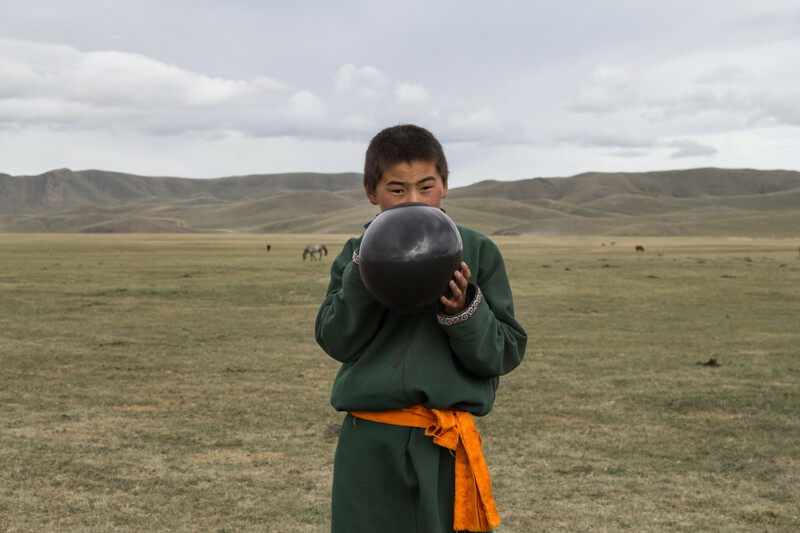 Therefore, this art installation is a performance which involves protective work with matter – a delicate balloon and the air trapped inside, both of which interact with severe climate conditions of the steppe. The Herd symbolizes this protectiveness. It is a tribute to the good shepherd. 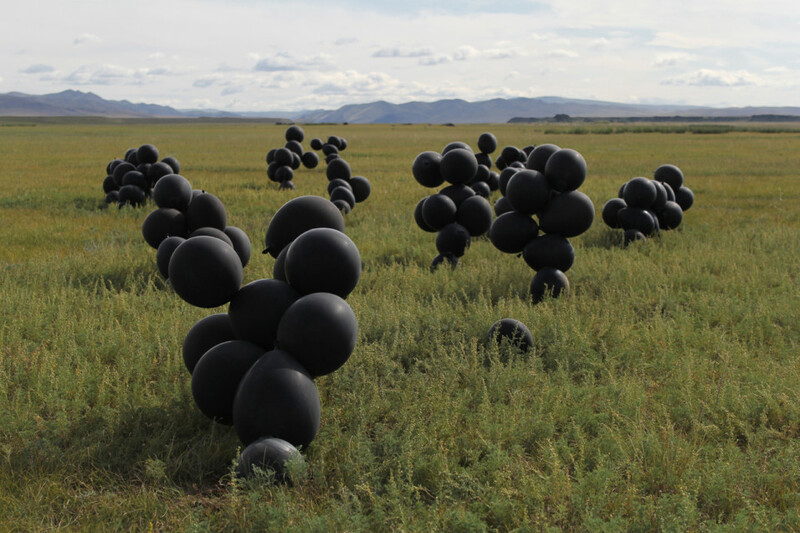 So, Michal Smandek is a shepherd of the abstract – his black balloons evoke and deny Malevitch’s square.